Bess with ball. Undivided Activity….. Here it is, the whole quote I’ve been publishing over the last week or so. When you ride in a boat, your body and mind and the environs together are the undivided activity of the boat. The entire earth and the entire sky are both the undivided activity of the boat. 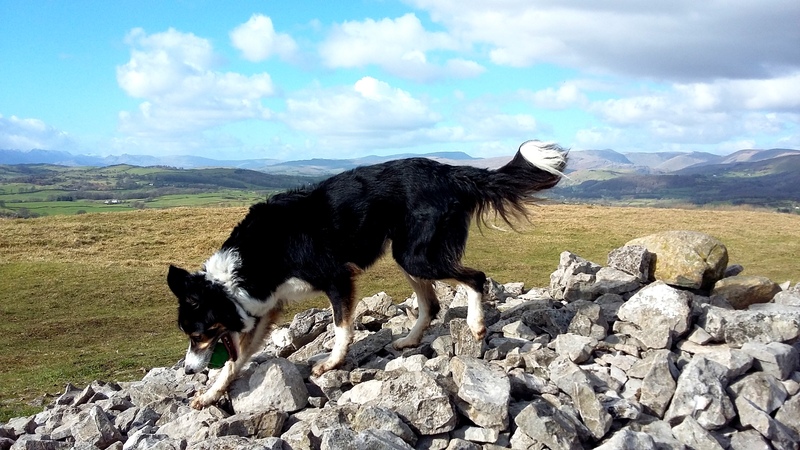 This post is for Bess and her person and all those who walk the fells. On two feet or four. May we all go safely watched over, as it were, by those past present and future who love. Unconditionally.